If you have been considering remodeling your Brookfield home, LT Construction & Remodeling has the local remodeling professionals with the skill and expertise to help. Our remodeling contractors have over ten years of experience in the industry. We have conducted countless bathroom, kitchen, and basement remodeling services. We have the skill to construct new garages and home additions. No matter what your prospective project is, our remodelers can get is done quickly and easily. Call us today if you need help remodeling your Brookfield home. Our courteous and polite staff is here to assist you in any way that we can. We would happily discuss your prospective project with you and provide you with information as to how our remodelers can accomplish the task. We would be excited to schedule your appointment today. A bathroom remodeling project is the easiest way to substantially improve your Brookfield family’s everyday experiences. You and your family rely on your bathroom to get ready in the morning. By beautifying and improving this space, you improve your mentality before your embark out to accomplish your goals for the day. At LT Construction & Remodeling, our Brookfield bathroom remodeling contractors can provide you with truly customized service aimed at improving the look of your bathroom while designing a new space that facilitates all of your family’s unique needs. A kitchen remodeling project is the best way to maximize the enjoyment that your Brookfield family receives from a home renovation project. Like the bathroom, the kitchen must be designed in a fashion that is conducive to the tasks that you conduct there. Our kitchen remodeling contractors in Brookfield work with you at every step of the project in order to ensure that you receive the most customized services. Our remodelers will provide you with samptle flooring, cabinetry, countertop, and backsplash materials. We will provide you with expert advice about the look, longevity, and maintenance of these materials. As such, you will feel confident that you make the best choices during your kitchen remodeling project. If your basement remains unfinished, you and your family are wasting valuable living space in your Brookfield home. An unfinished basement is usually a cold, dark, and damp place used to store cluttered odds and ends. Brookfield families should take advantage of these already constructed spaces by conducing basement finishing projects. 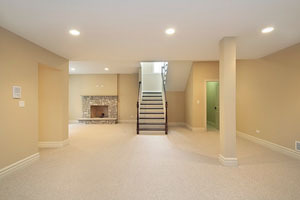 At LT Construction & Remodeling, our Brookfield remodeling team can help you redesign your unfinished basement. If you need a extra living space, game area, entertainment area, office, kitchen, or relaxation space, our experts can custom design your basement to fulfill any of these needs. We guarantee that you and your family will be far happier with this space after we complete our basement remodeling services. 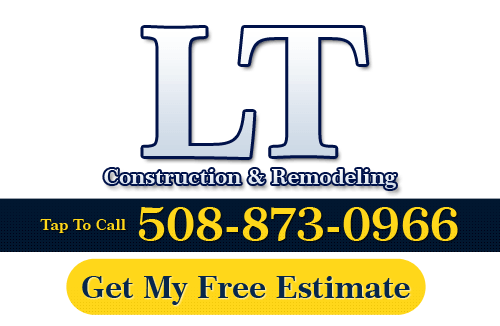 If you need to hire a professional Brookfield remodeling contractor, call LT Construction & Remodeling at 508-873-0966, or complete our online request form.